Liberals and the left were shocked by the Kavanaugh confirmation this past weekend. They may experience an even greater shock to their political consciousness should the Democrats fail to take the House in the upcoming midterm elections. The traditional media has been promoting the message that a ‘blue wave’ will occur on November 6. Polls as evidence are being published. The Democratic Party is pushing the same theme, to turn out the vote. But these are the same sources that in 2016, on the eve of that election, predicted Trump would get only 15% of the popular vote and experience the worse defeat ever in a presidential election! Should we believe their forecasting ability has somehow radically improved this time around? Anecdotal examples, in New York City and elsewhere in deep Democrat constituencies, are not sufficient evidence of such a ‘wave’. Especially given the apparent successes underway of Republic-Right Wing efforts to suppress voter turnout elsewhere, where House seats must be ‘turned’ for Democrats to achieve a majority in the House once again. (See, for example, Greg Palast’s most recent revelation of voting roll purging going on in Georgia, which is no doubt replicated in many other locales). 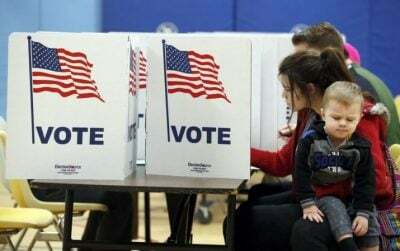 Should the Democrats clearly win enough seats to take over control of the US House of Representatives on November 6, liberals and progressives may be further disappointed. Democrat party leaders will most likely talk about impeachment, make some safe committee moves toward it, but do little to actually bring it about in the coming year. What they want is to keep that pot boiling and leverage it for 2020 elections. Such prevarication and timidity, so typical of Democrat leadership in recent decades, will almost certainly have the opposite intended effect on liberal-left voter consciousness. Voters will likely retreat from voting Democrat even more in 2020 should Democrat Party leaders merely ‘talk the talk’ but not walk. Conversely, should the Dems fail to take the House a month from now, an even deeper awareness will settle in that the Democratic Party is incapable of winning again in 2020. Even fewer still may therefore turn out to vote next time, assisted by an even more aggressive Republican-Trump effort to deny the right to vote than already underway. In short, a Democrat party failure to recover the US House of Representatives next month will have a debilitating effect on consciousness for the Democrat base that will no doubt reverberate down the road again. So too will a timid, token effort to proceed toward impeachment should the Democrats win next month. But a takeover of the House by Democrats will result in an even greater, parallel consciousness bombshell—only this time on the right. Bannon, Breitbart, and their billionaire money bags (Mercers et. al.) are already preparing to organize massive grass roots demonstrations and protests to scare the Democrats into inaction so far as impeachment proceedings are concerned. And it won’t take much to achieve that retreat by Democrat party leaders. The recent Kavanaugh affair is right now being leveraged by Trump and the far right to launch a further attack on civil liberties and 1st amendment rights of assembly and protest. Trump tweets are providing the verbal ‘green light’ to go ahead. Kavanaugh has become an organizational ‘cause celebre’ to mobilize the right to turn out their vote. The plans are then to take that mobilization one step further, however, after the midterm elections. Plans are in the works for Bannon and friends for a mobilization of the right to continue post November 6, should the Dems take the House. They’re just warming up with the Kavanaugh affair. Demonstrations celebrating Kavanaugh’s Supreme Court win are just a dress rehearsal—first to turn out the vote but then to defend Trump in the streets if the Democrats actually take the House. The public protests and demonstrations on the right will aim to intimidate House Democrats, should they win, but will also serve as counter demonstrations to attack protestors demonstrating for impeachment. Either way—should the Republicans retain the House or the Democrats take it—a sea change in US political consciousness will occur once again this November, as it did in November 2016. And should the Democrats take the House, political instability will almost certainly intensify in the US, as the developing political crisis will ‘move to the streets’. The 2016 election and events of the past two years wrenched the consciousness of many Americans about how the US system works. The myths have fallen by the wayside, one by one in the intervening two years. The belief that somehow the sane leaders appointed to Trump’s initial cabinet would somehow control him or the Republicans in the Senate keep him check have both dissipated. Trump has purged them from his administration, or they have dropped out of running for Congress again as the well-financed, pro-Trump, right wing local machine has promoted right wing candidates to run against them. Trump has been successfully reconstituting the Republican party increasingly in his far right image. The myth that Trump will ‘tear up NAFTA’ and bring manufacturing jobs back is now debunked. Or that he will end the wars in the Middle East. The list is long. Democrats in the meantime have continued to show their strategic ineffectiveness and tactical ineptness in dealing with Trump. Their party leaders have shown more concern, and success, in keeping Bernie Sanders and his supporters at bay, as witnessed by the recent Democrat Party measures that keep their ‘superdelegates’ barrier to party reform in place while giving the chair of the Democratic Party the power to veto any candidate to run on its ticket who may win a primary in the future. Nor have they adopted an effective program to win back the working class, the loss of which in key Midwestern states in 2016 cost them the 2016 election. The latter not surprising, given that the central committee of the party is composed of more than 100 corporate lobbyists and CEOs. Promoting ‘identity politics’ has become the mantra—not programs to restore good jobs, ensure wages, protect retirement, defend union rights, push Medicare for All, and similar class-based demands. First, political consciousness, both right and left, will likely undergo another major shift, and perhaps on a scale close to that which occurred in 2016. Second, the midterm elections will be used by the Bannons, Breitbarts, Mercers and others on the far right as an opportunity to mobilize the grass roots into a more centralized right wing movement. Initially for purposes of voter turnout, that organization, centralization, and mobilization will expand into the post-midterm US political landscape. More intimidation, more threats, and even now confrontations between left and right in the streets is a real possibility in the years to come in Trump’s remaining two years in office. (And the Republicans and the right will now own the police and the courts and will thus have a decided advantage in protests and demonstrations). Increasingly, US intellectuals, artists, and even experienced old-guard politicians, who were once eye-witnesses in their early years, have begun to see parallels about what’s happening now in the US with past origins of fascist movements. Up to now, however, one especially important element of fascist politics has been missing in the US, although its ugly head has been peering above the horizon since 2016. That element is a grass roots movement of fascist-like supporters, activists and sympathizers, whose main task is to confront, intimidate, and violently discourage demonstrations and protests against their leader (Trump) personally, and in support of democratic rights under attack and the exercise of civil liberties in general. The emergence of just such a right wing grass roots movement, better organized and well financed, and willing to engage in violent confrontations against other protestors and demonstrators in the streets, may soon be upon us. Should the Democrats win in November and launch impeachment proceedings the phenomenon will quickly appear. But even if Democrats prevaricate (the more likely scenario), the right is preparing to mobilize nonetheless. Their response to the Kavanaugh affair shows how much they’re ‘itching’ to do so. And should the Democrats win the House, their development will become even more evident. This article was originally published on the author’s blog site: Jack Rasmus. Jack Rasmus is author of the forthcoming book, ‘The Scourge of Neoliberalism: US Policy from Reagan to Trump’, Clarity Press, as well as ‘Central Bankers at the End of Their Ropes’, Clarity Press, August 2017. He blogs at jackrasmus.com and tweets at @drjackrasmus. His website is: http://kyklosproductions.com. He is a frequent contributor to Global Research.